Andermatt, at 1444m elevation, is one of Switzerland’s most snow-secure winter sports resorts and offers something for everyone. The quaint village is bustling with shops, restaurants and cafés. And the Nätchen, Oberalp & Gemsstock ski areas cater to all levels of skier competence, from first-timers, medium, advanced, to the extreme and adventurous. Andermatt caters to all things winter with an ice hockey rink, ice skating, curling, piste skiing, snowboarding, cross-country skiing, sledging and snow shoe walking trails with dramatic beauty all around. In the last years the Andermatt ski area has undergone a unique transformation with huge investments made in upgrading services throughout the resort. The highlight this year is the connecting ski lift at Oberalppass with sensational new trails linking the ski area of Andermatt to Sedrun. 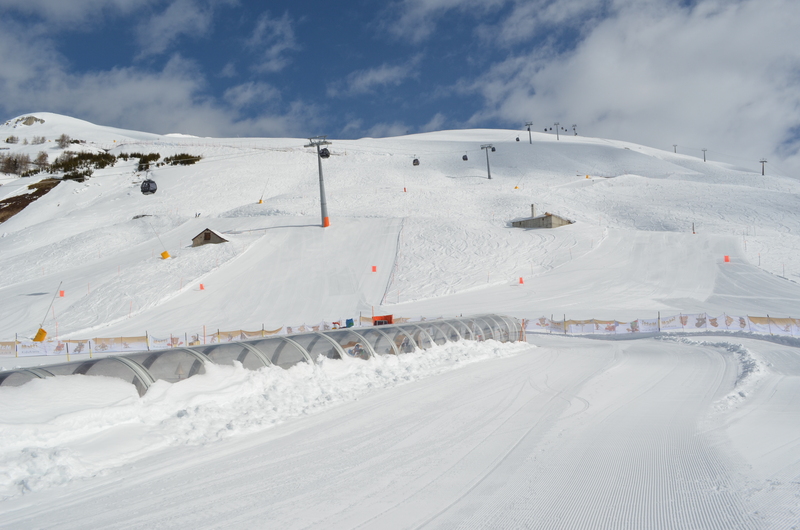 The exciting “Skiarena Andermatt-Sedrun” offers no less than 120km of prepared and varied pistes to explore! Andermatt really is the place to be. Come visit us and take advantage before the secret is out!